This vintage inspired table and chair set embraces mid-century modern design with rounded edges and a jauntily angled pedestal base. 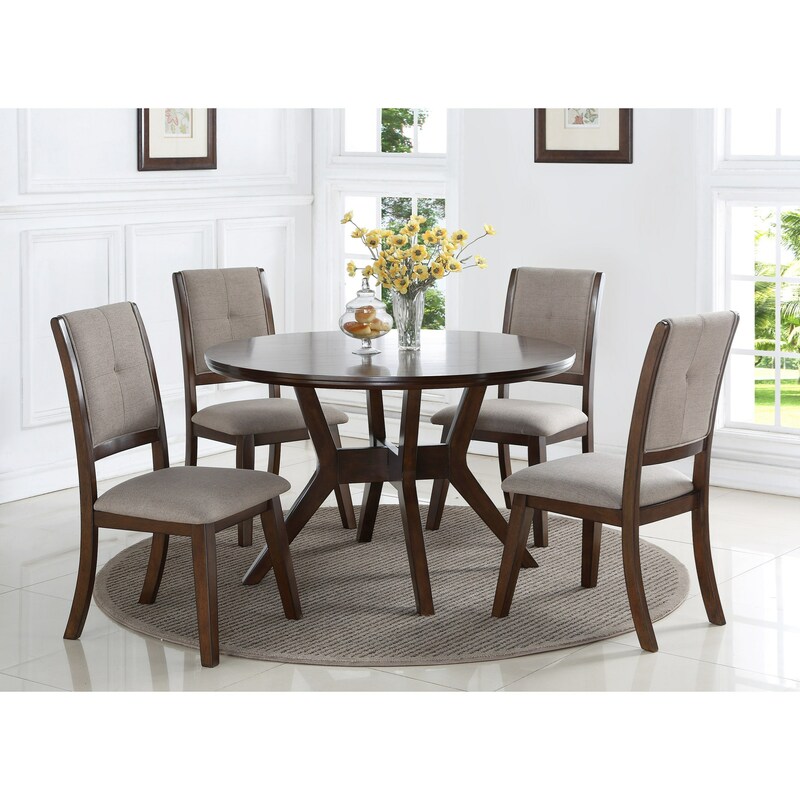 The table top is round, making it great for a smaller sized space such as an apartment or breakfast nook. 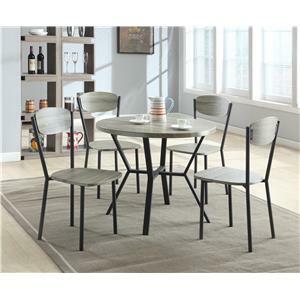 The table is accompanied by four upholstered side chairs creating an easy going, yet sophisticated dining set. 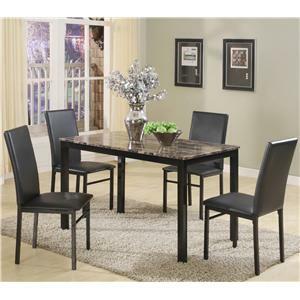 The Barney Mid-Century Modern Table and Chair Set by Crown Mark at Household Furniture in the El Paso & Horizon City, TX area. Product availability may vary. Contact us for the most current availability on this product.